Did you know that our brains process visual content 60,000 times quicker than words? Are you aware that colour increases brand recognition by 80%? Colour may be your first act of ecommerce persuasion. Colour is more than hues, Pantones, tints and shades… It has to do with the psychology and power of marketing. 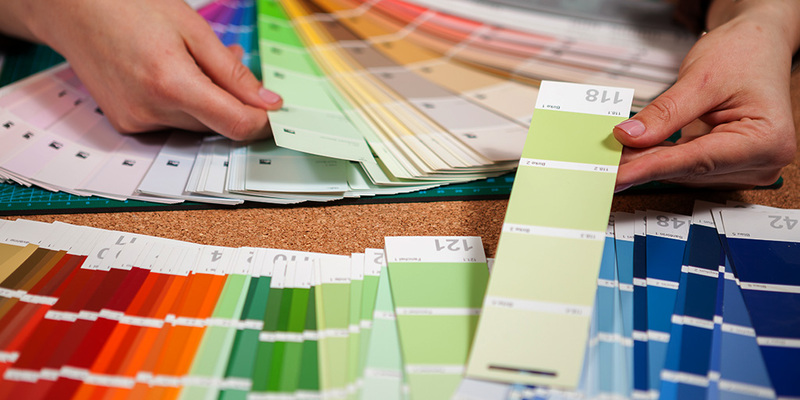 For over 90% of people, colour is crucial when it comes to making purchasing decisions. Thus, in the world of international online sales, colours may speak much louder than words. Are you aware of the fact that the way you use colours may affect your online business and your sales? 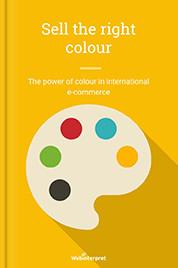 Read further on the power of colour in the world of international ecommerce. 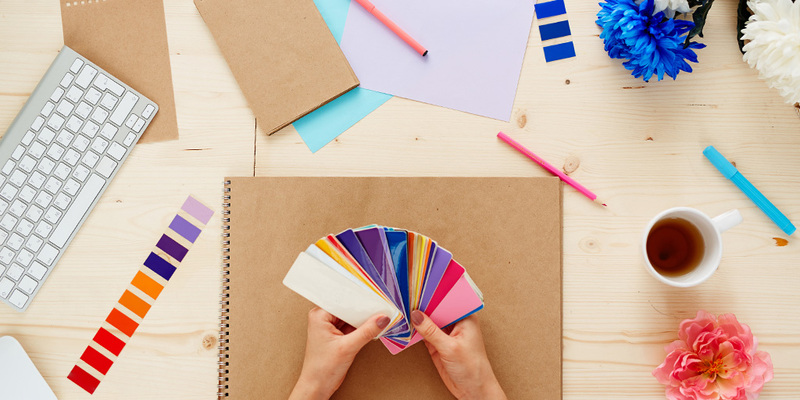 Interested in how to use colour to your ecommerce advantage? Download our FREE ebook! Imagery and colours are a vehicle to generate interest and emotional responses.Think about how particular colours are associated with holidays, festivals and rituals: you may be more successful offering red and pink dresses around Valentine’s Day as opposed to blue and black ones. The perception of colour is subliminal, subconscious and up to 90% of snap judgements about products can be based on colour alone. As a study carried out by the Seoul International Expo sets out, 92% of people report that colour plays a crucial role when making a purchase. For 6% the sense of touch is important. Smell and hearing are rated as essential by 1% of people, unless they are buying music or perfume. The colour must match the brand, its message and what is being sold. Simple and bright colours are vibrant, intense and attraction grabbers, e.g. 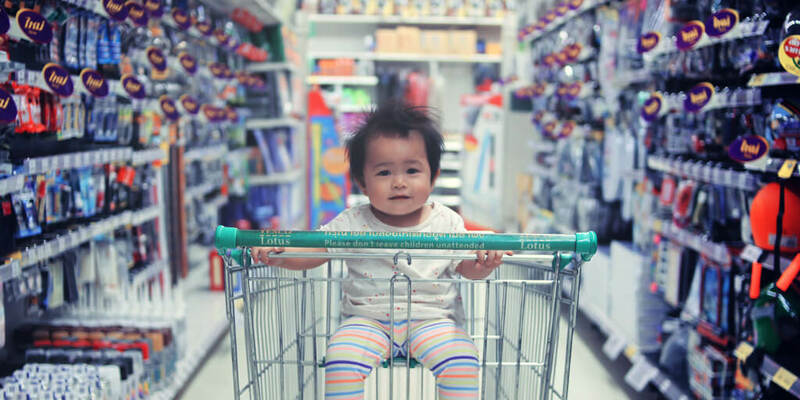 Toys R Us and McDonald’s. Sophisticated colours, on the other hand, bring to mind elegance and intimate communication, e.g. Tiffany or Armani. 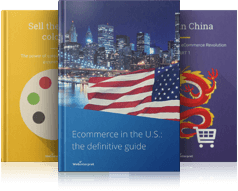 If you’re interested in comprehensive, quality data about ecommerce topics of your interest, we have some free reports and guidebooks to help you grow your sales! 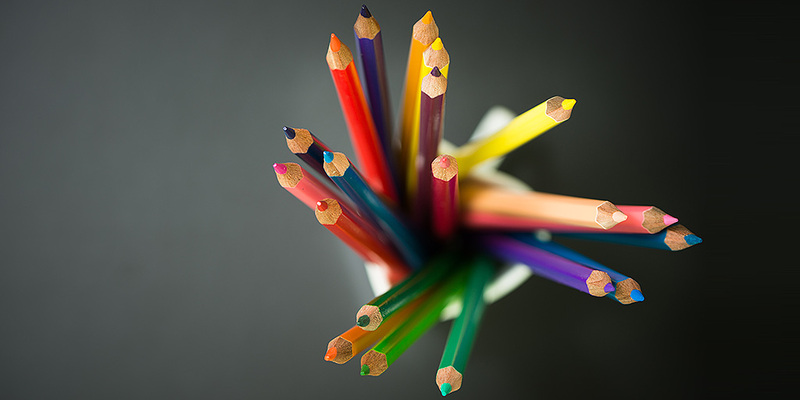 Can a little knowledge on how colours can impact your online business be a real deal maker? More often than not. On the basis of a study published in the Journal of Business Research, your buyers are 15% more likely to return to a shop with blue colour schemes as opposed to their orange counterparts. 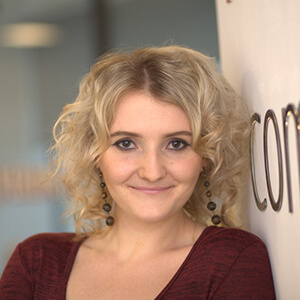 Do you focus on loyal customers as opposed to quick one-off deals? Then, blue is the colour of trust and dependability and if you use it for online business, it can genuinely improve your customer loyalty. Red, orange, black and royal blue attract impulse shoppers: good for fast food, outlet malls and clearance sales. Navy blue and teal attract shoppers on a budget: good for banks and larger department stores. Pink, sky blue and rose attract traditional buyers: good for clothing stores. Research shows that more extraordinary and unique colour names are prefered and can increase the likelihood of a purchase immensely. In other words, we feel more tempted by the colour mocha as opposed to brown, even though they’re basically the same colour. Choose more memorable and descriptive names to classify the colour of your item, e.g. sky blue is a better option than light blue. Take this fact into consideration when selling your products online, especially clothes. Which button colours convert better? The discussion about the best colours for buttons, e.g. those which maximize conversions, is a hot topic. For instance, Unbounce predicted that the future of call-to-action buttons is BOB (Big Orange Button). A lot of colours have been AB-tested: red, green, blue, orange and so on. There are many colour-related associations, for instance green tends to bring to mind positive emotions and a ‘green light’ is a sign for a driver to GO. Red, in turn, is mostly associated with negative emotions: it’s a sign for the driver to STOP. However, colour makes little difference on its own. In fact, you need to consider how the colour changes the visual hierarchy of the whole page. You need to take into account how it makes the call-to-action stand out. Additionally, there are other elements to consider, for instance wording on the button. The bottom line: there’s NO best colour for conversions. There’s no generalization or golden rule that can be given. Sometimes it’s about common sense. If your website’s dominant colour is, let’s say, green and your buttons are green too, they won’t stand out. You can expect that the green-green combination will affect your conversions in a negative way. A more sensible way would be to go for a brighter colour for your buttons. Does it make a difference what colours you sell to men & women? Yes, it does. There are colour preferences among genders: isn’t blue the colour of boys and pink the colour of girls? Generally, men prefer brighter colours and women fancy softer colours. 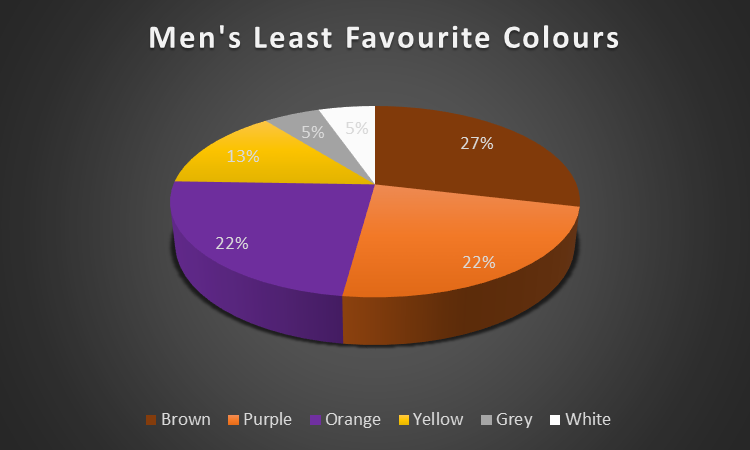 Additionally, men are more likely to like shades (colours with black added) and women tints of colours (with white added). 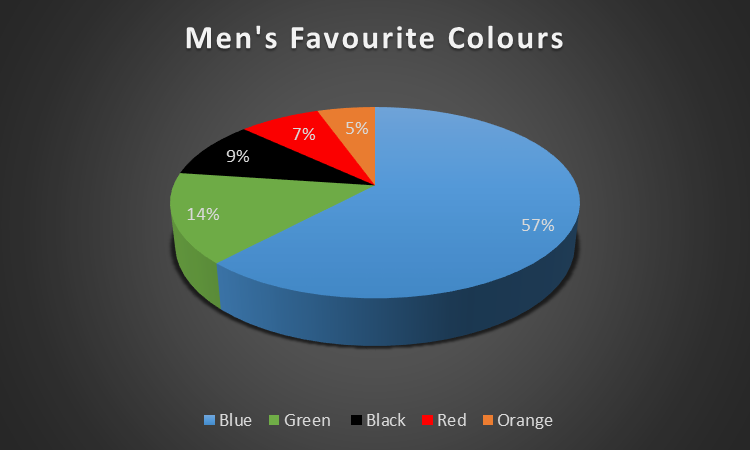 According to the charts below, blue is the favourite colour among both genders. 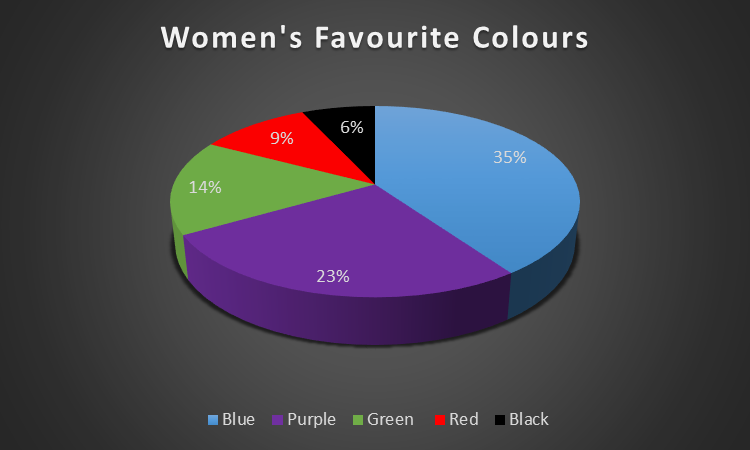 Women like purple as opposed to men who fail to list it as a top colour. 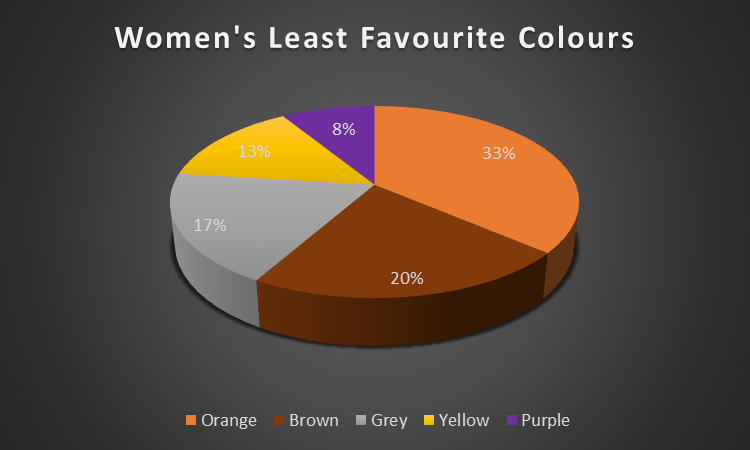 For feminine products avoid gray, orange and brown, instead blue, purple and green should be quite appealing. For male products avoid purple, orange and brown, focus on blue, green and black instead. How do we perceive colours? Let’s take yellow, a very happy colour, as an example. 75% of pencils sold in the US are yellow. It is also the first colour perceived by our retinas: very useful if you need a real attention grabber. Of course, colour is a matter of individual experience to a large extent. Still, its choice plays an important role when branding and motivating a particular type of buyer. Choosing a colour associated with your brand is of crucial significance. So blue is the corporate colour in the USA, bringing to mind responsible, solid financial services but red will probably win you business in East Asia. If you sell on international marketplaces, take a closer look at the colours you use for your website and brand image. A similar analysis may be useful if you offer items that come in different colours. Think which values and emotions your product should communicate: colour should reveal your product attributes. The choice of colour when making ecommerce decisions may seem quite trivial. Interestingly, it is likely to have a subtle yet enormous impact on your business outcomes. the differences in perception of various colours across countries. Don’t take the colours chosen for your brand, website and products for granted. Different colours communicate different values. For instance, you’re selling high-end products? Black is likely to be a better choice than pink as your signature colour. Communicate your values, present your brand and sell your items in the right colour! Take into account the perception of colour in different countries and use this knowledge to persuade potential foreign buyers to visit your website and buy your products. 90% of snap judgements about products can be based on colour alone: choose the right colours to increase your conversion rates and sales figures! To find out more, check out this article Is your online shop in the right colour? 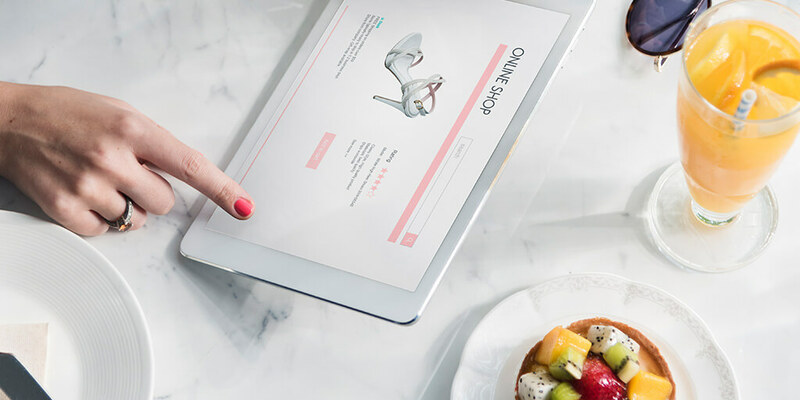 How to use colour to your ecommerce advantage? Download our FREE ebook!